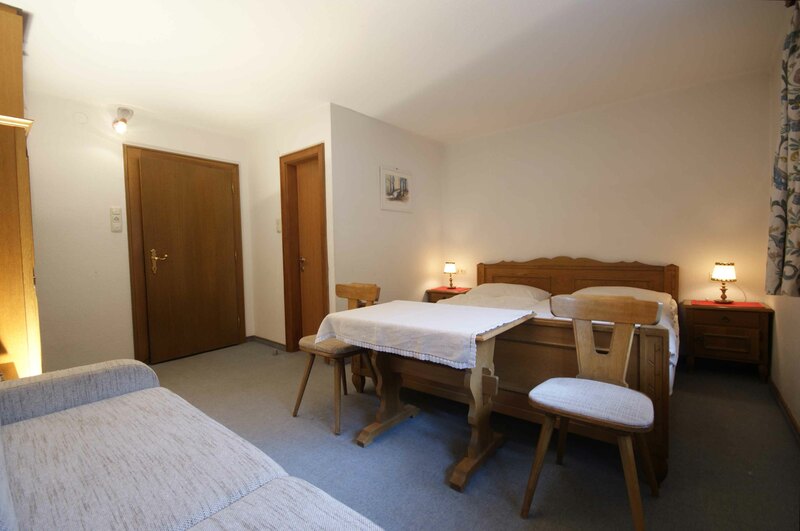 Superbly located directly in the very heart of St Anton, yet pleasantly at the pedestrian zone. 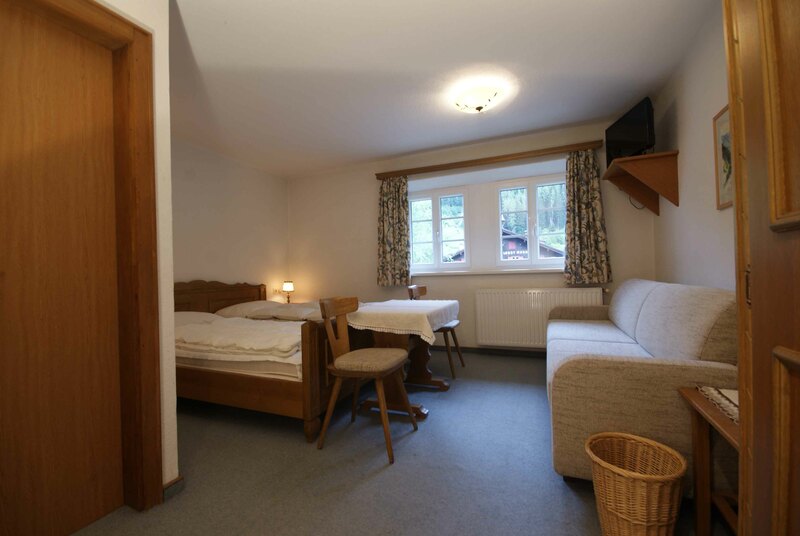 Only 250 metres from the main ski lifts and slopes. 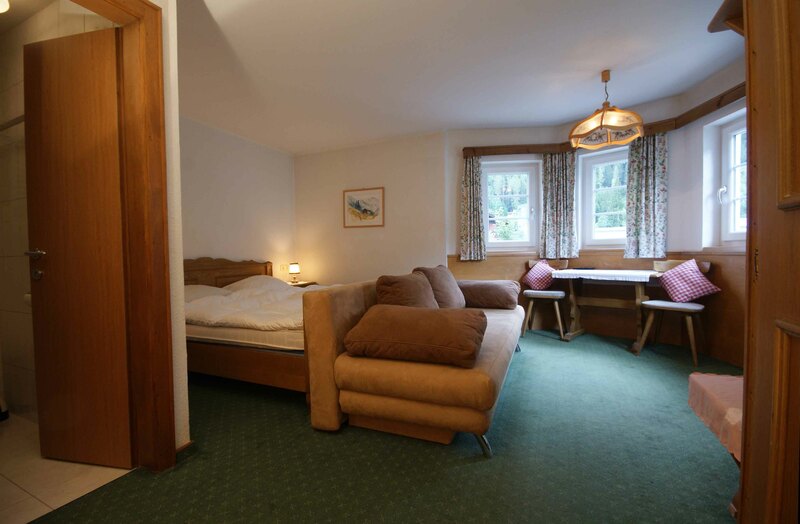 This chalet is one of the best situated catered chalets in St Anton. 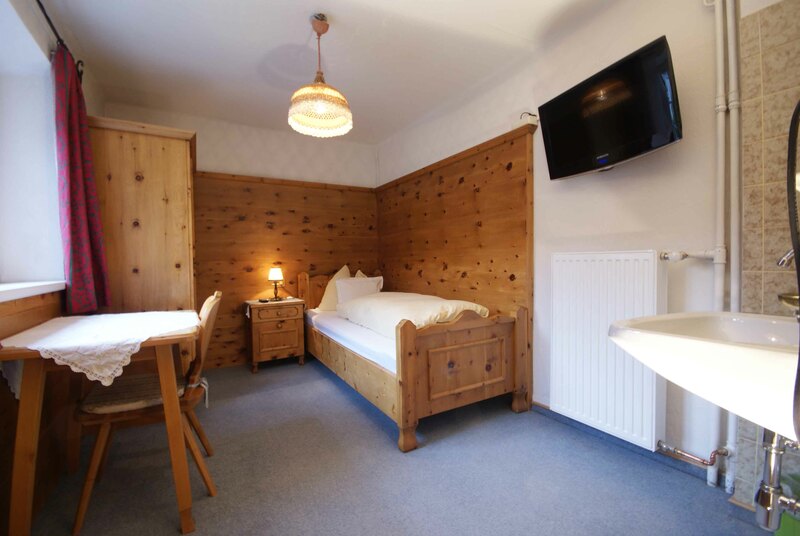 Right in the original centre of this hugely popular Alpine village and there is an abundance of shops, restaurants, après-ski bars and nightlife at your fingertips. 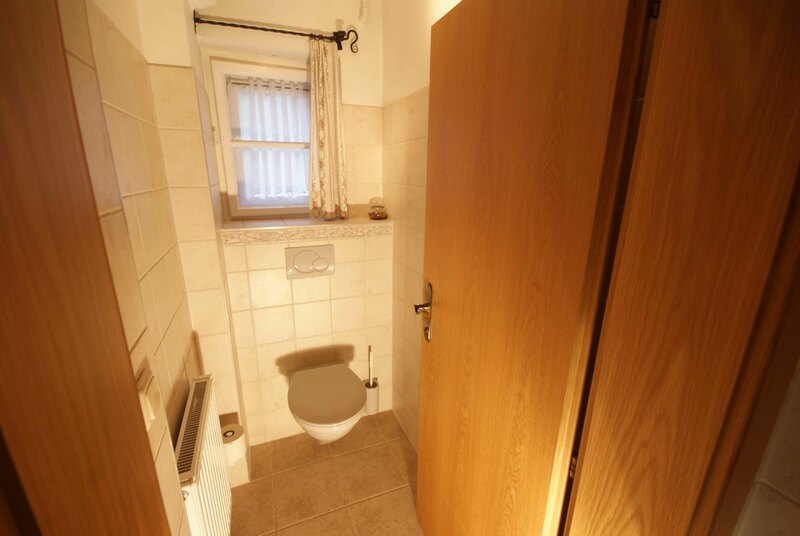 All eight bedrooms have their own full bathroom with shower or bath, WC, basin and all have a flatscreen TV and are tastefully decorated. The light and airy living and dining room has the traditional ‘stubben’ style with comfortable bench-style seating around the tables. 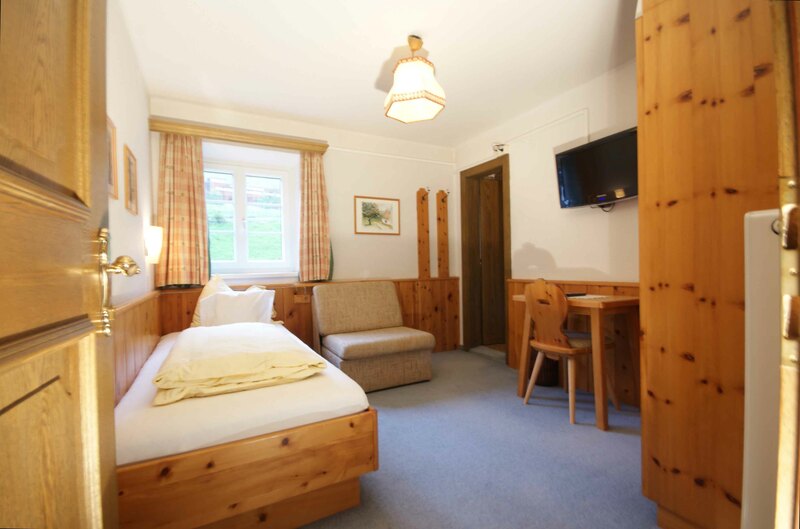 The chalet is a wonderfully warm and cosy catered chalet. 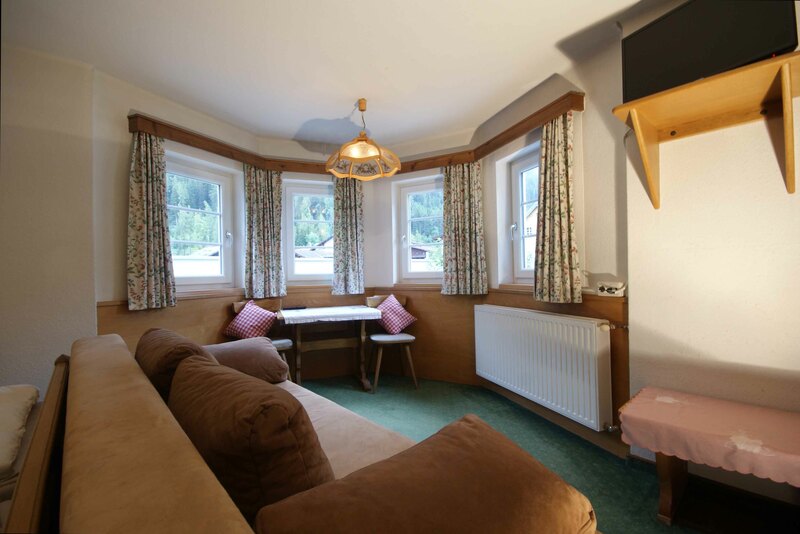 Built in a traditional Alpine chalet style it is rustic and charming. There is a ski locker and boot dryers/warmers guarantee you’ll start your day with a smile. 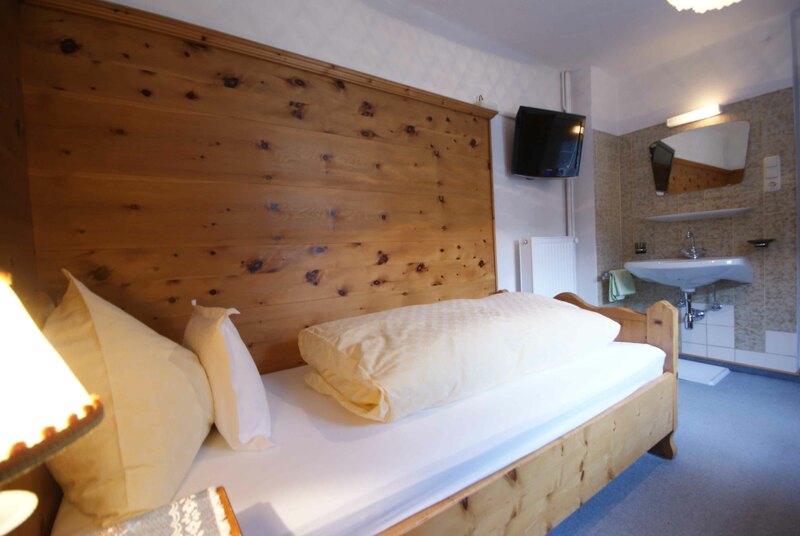 Ski school and ski hire shop, where you can also leave your skis and boots, are closeby. 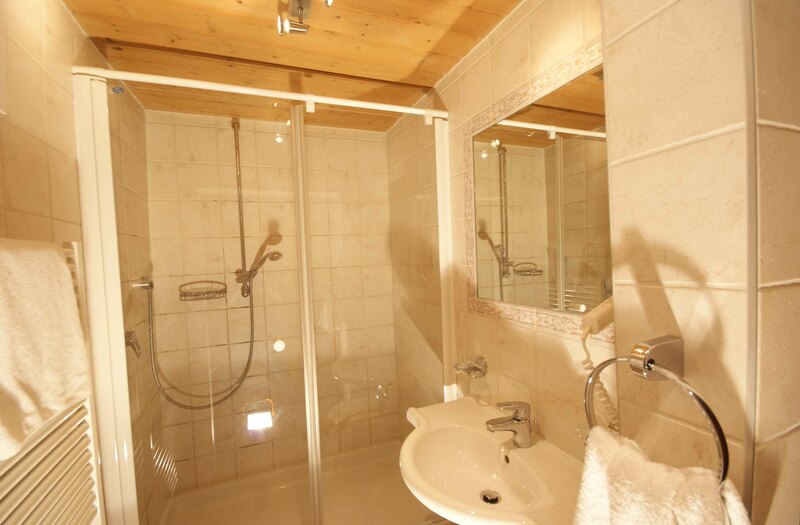 Sauna, wellness and indoor swimming only 80 metres from the front door. Park your car for free at the chalet. 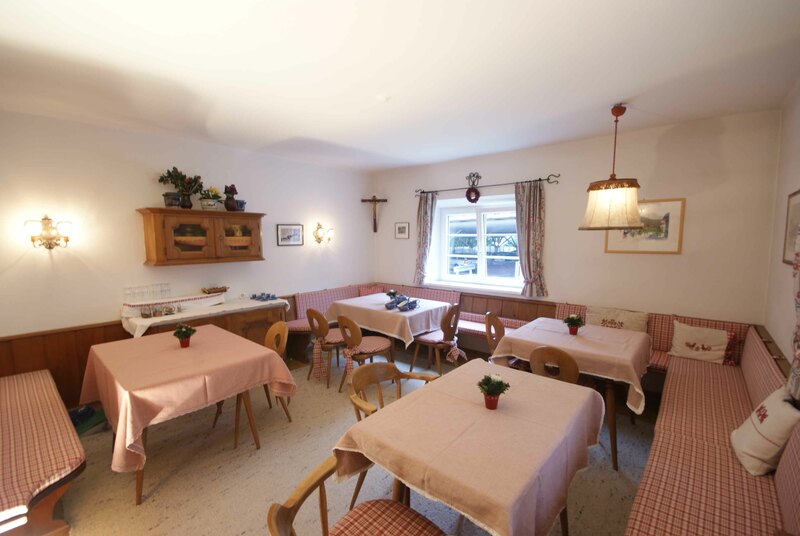 Your excellent dinner will be served in the four star Sporthotel St Anton, just 150 metres from your chalet. With its world-class skiing, delightfully traditional Tyrolean appearance and distinct sens of Austrian ‘Gemütlichkeit’, it is no surprise that St Anton is an increasingly popular choice for discerning skiers. St Anton has been attracting skiers since the 1920s and it is easy to see why as the resort offers the perfect combination of world-class skiing, traditional Tyrolean charm and an excellent snow record. 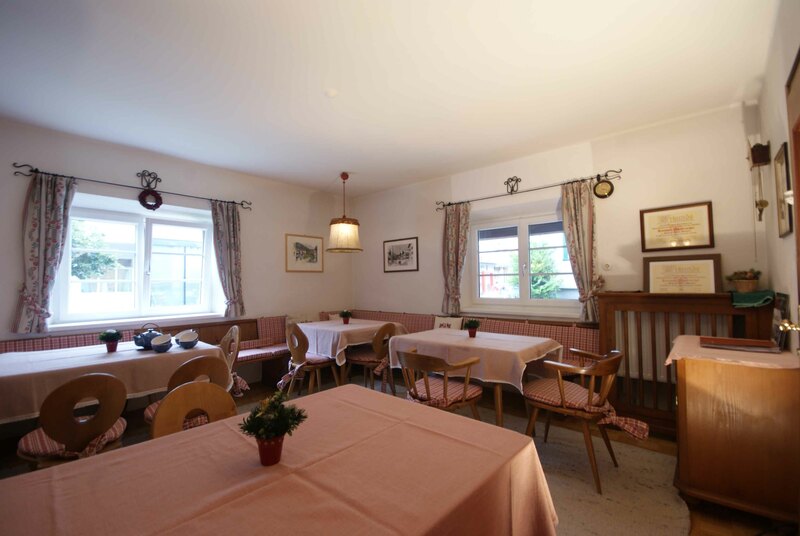 It is a genuine Austrian town boasting a picturesque village centre and a buzzing and varied nightlife. The centre of St Anton is traffic free and is full of traditional character. 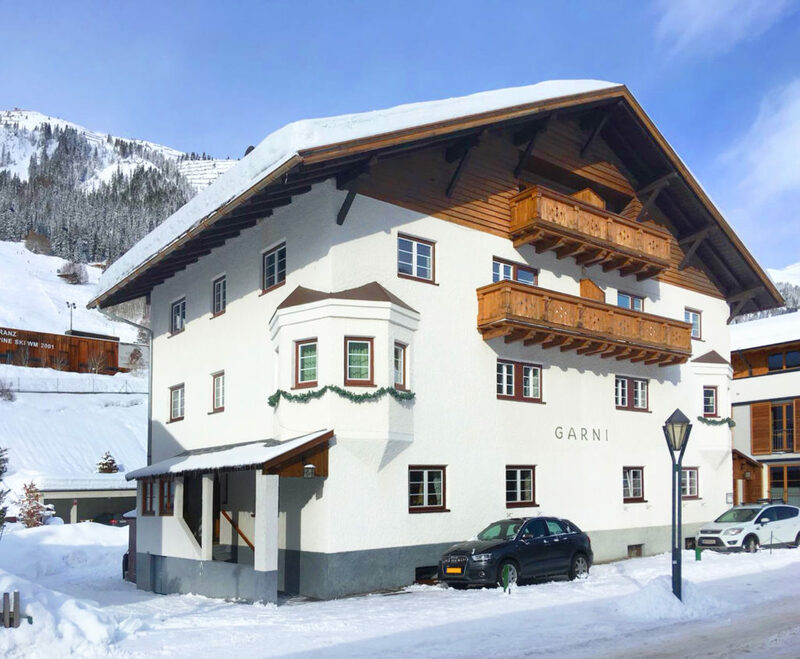 St Anton retains its charm with the long, pedestrianised main street full of attractive, traditional buildings and the main lifts and slopes only a minute’s walk away. The beautiful painted exteriors of the buildings in the bustling shopping district provide a perfect backdrop to enjoy your non-skiing time. 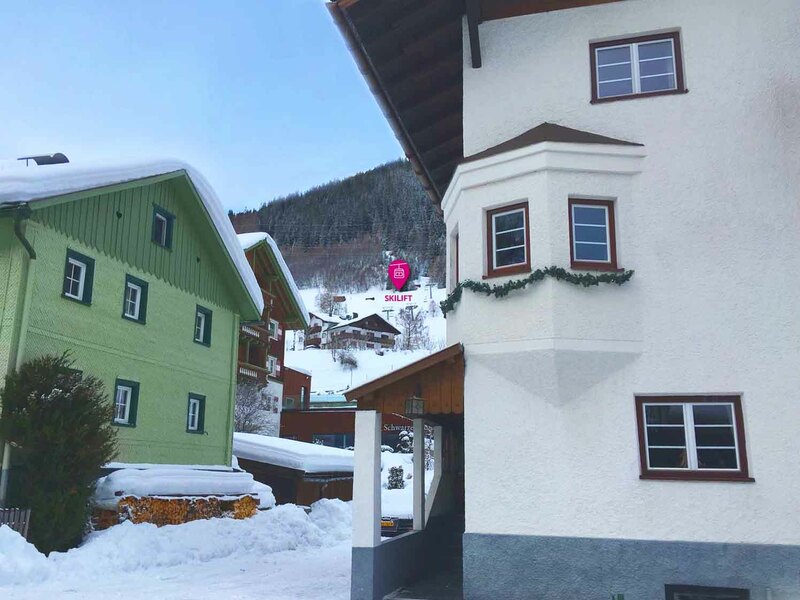 St Anton has a fantastic range of facilities including an a state-of-the-art indoor swimming and wellness centre, a good selection of shops, bars and restaurants. There are a number of places serving the exquisite hot chocolate and cakes for which Austria is justifiably famous. The bars and clubs of the resort are legendary, Krazy Kanguruh, the Mooserwirt and Funky Chicken are just a few of the places you can enjoy late nights (or early mornings). For the day after the night before there is nothing better than a visit to the Arlberg-well.com centre which is situated at the bottom of the slopes by the open-air ice rink. 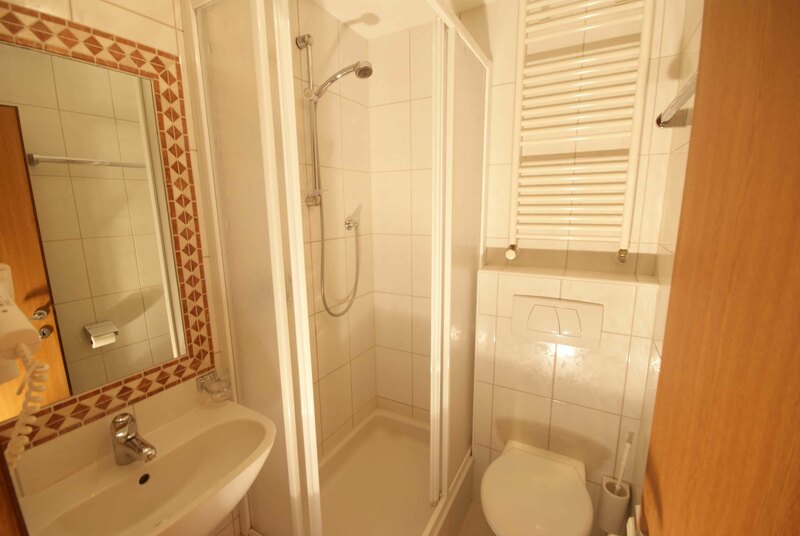 This complex includes beautiful swimming pool, massage and gym facilities. 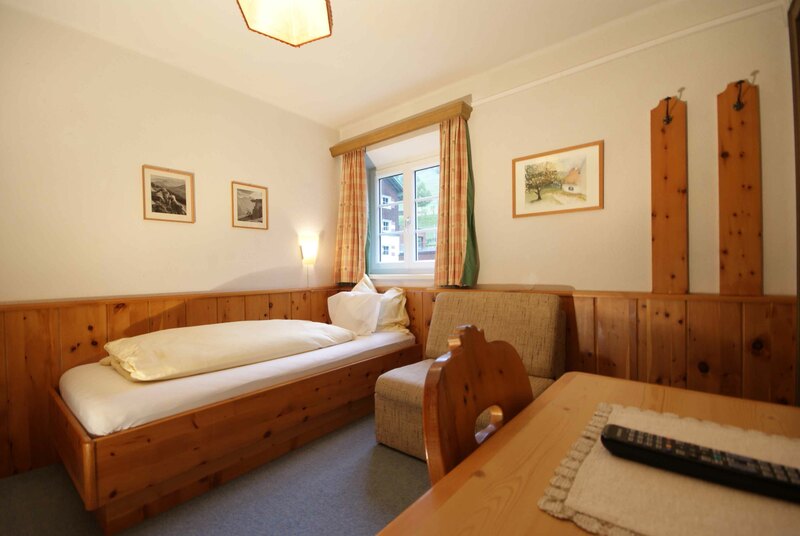 For non-skiers there is always the option of a day trip to Innsbruck, which is easily reached on the local train service. Austria’s most exciting skiing is to be found on either side of the Arlberg Pass, which separates the buzzing Tyrolean resort St Anton from the snowy seclusion of Lech and Zürs. St Anton relishes a reputation for big skiing, soft snow and wild nightlife and rarely disappoints. 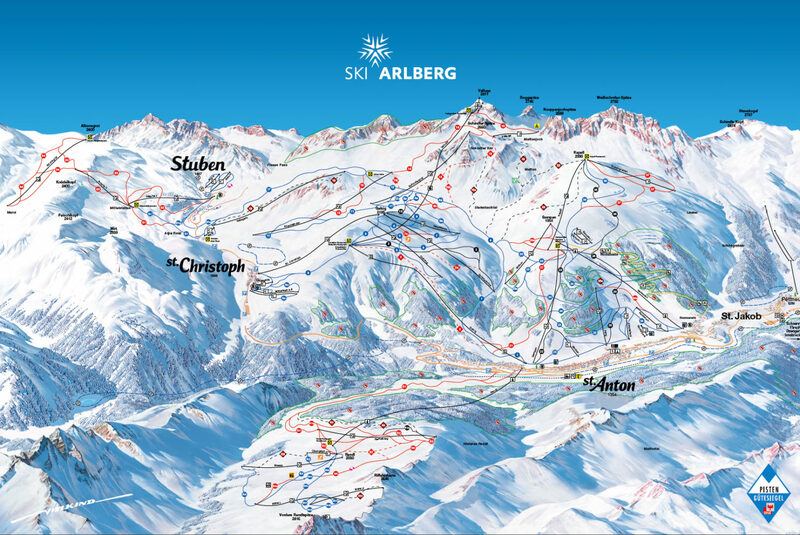 St Anton is Austria’s premier ski resort and is part of Ski Arlberg. Alpine skiing began in this area nearly a century ago. Today, the resort offers plenty of skiing for all abilities and levels. 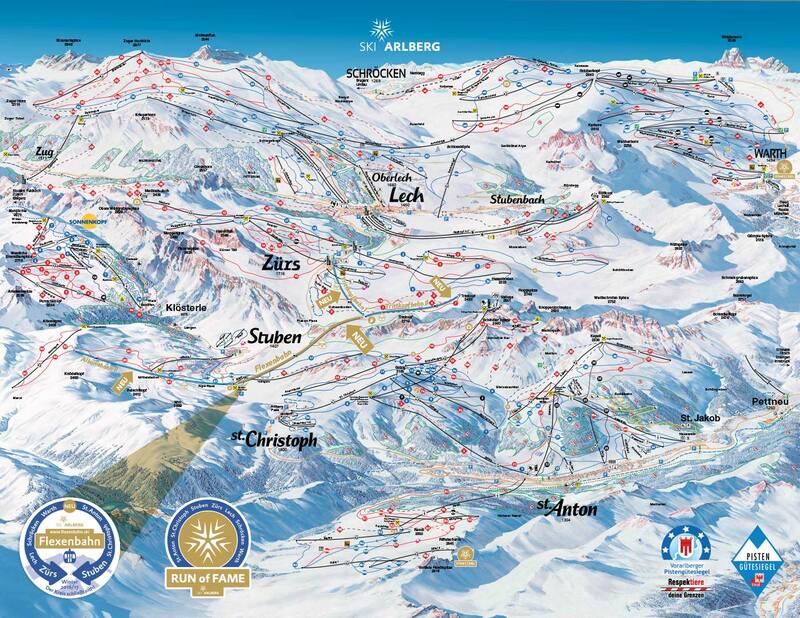 The Ski Arlberg lift pass covers a total of 96 lifts including the ski areas of St Anton, Lech, Zürs, Stuben, St Christoph, Klösterle, Sonnenkopf, Warth and Schröcken. Great news is that recently a new cable car system has been placed, called the Flexenbahn so from now you don’t have to use a ski-bus to go to the ski area of Zurs and Lech. So all pistes in this large ski are can be reached by ski. There is a wide variety of blue and red runs in all sectors and endless possibilities for the more adventurous. Expert skiers will particularly enjoy the vast powder bowls beneath Valluga. More leisurely types might like to try the gentle cruising around Lech and Zürs which are also covered by the lift pass, though even here there is plenty to amuse the more accomplished skier. 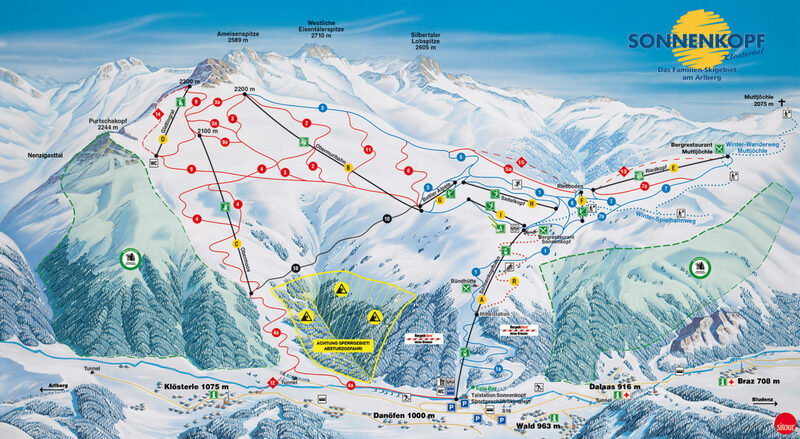 For beginners there are nursery areas both near the main lift stations, plus gentle runs above the resort of St Anton. There is an excellent board park that will easily keep beginners and intermediates entertained and miles of excellent terrain for all levels. St Anton has some of the best off-piste to explore with a guide in Austria. 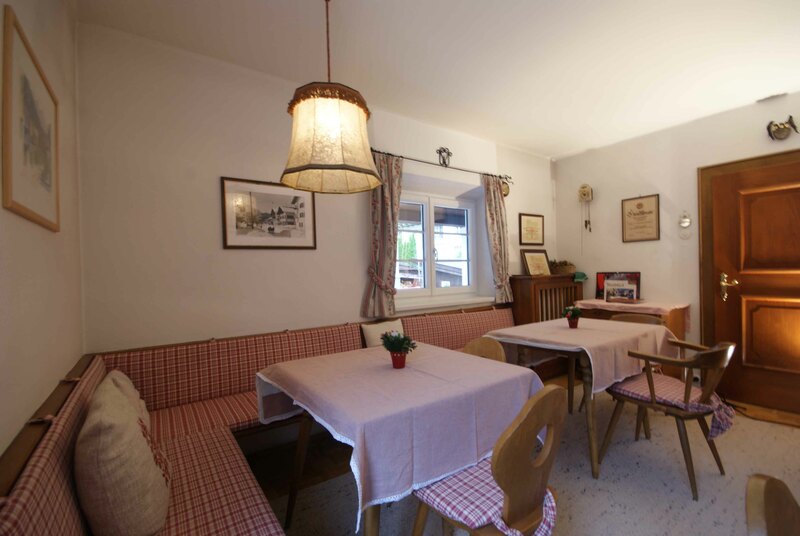 Ski down to the 13th century village of Stuben or to the more glamorous St Christoph for a lunch in a traditional restaurant. 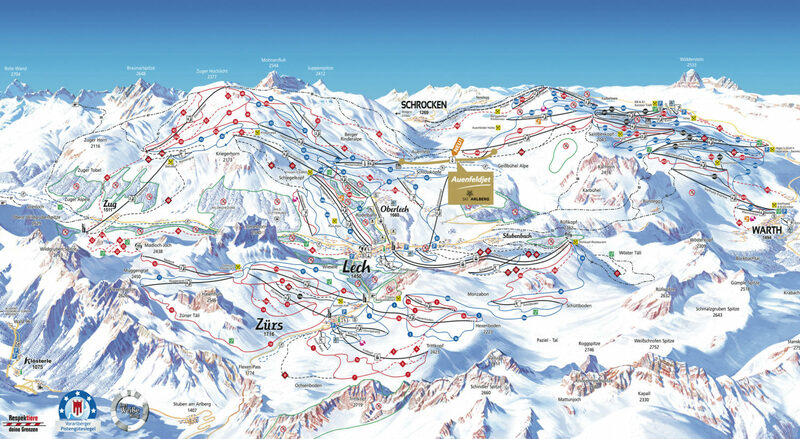 Alternatively don’t miss the opportunity for a day’s skiing on the groomed pistes of neighbouring Lech or nearby Sonnenkopf, which are both covered on the St Anton lift pass and also connected by pistes. At the end of the day you will no doubt be tempted to drop in to the Mooserwirt or Krazy Kangaroo and the après-ski action continues till late, with all manner of possible entertainment and venues.